Gov. 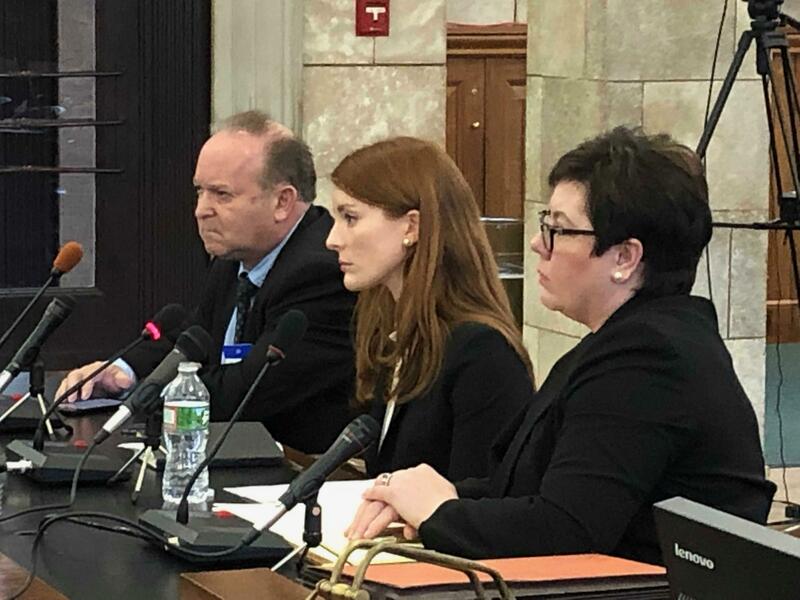 Phil Murphy’s transition team and administration could have done more to investigate a complaint of sexual assault against a staffer, according to a new report commissioned by the governor. The report, written by former New Jersey Supreme Court Justice Peter Verniero, indicated several steps not taken, but stopped short of saying that officials ignored or mishandled a complaint by Katie Brennan that Al Alvarez raped her while he was working on Murphy’s 2017 campaign. “There’s a lot of ‘so-and-so might have done something’… a lot of inconclusive words being used in this report,” said state Senate Majority Leader Loretta Weinberg, who co-chairs a legislative committee that is doing its own investigation into the hire. Despite the allegation against him, Alvarez got a job in the new administration as chief of staff of the Schools Development Authority. He denies he raped Brennan but resigned once the allegations became public. Prosecutors have declined to charge him, citing a lack of corroborative evidence. The report also failed to answer another key question in the saga: who hired Al Alvarez? And did they know about the allegations against him when they did? “We are left to conclude that, regardless of who made the ultimate hiring decision, Mr. Alvarez’s placement at the SDA was a foregone conclusion based on his affiliation with the Murphy campaign and the transition office, and due to the fact that he was well known and presumably viewed positively within the Murphy hiring circle,” the report reads, noting it is common for officials who worked on successful campaigns and on transition teams to find work in state government. The report found the transition team failed to follow up and solicit more information from several key figures, including Justin Braz, a friend of Brennan’s who worked on the transition, and who told other transition officials of the claim against Alvarez without disclosing Brennan’s identity. Alvarez was then the deputy director of personnel in the transition. Verniero’s report suggested that incoming chief of staff Pete Cammarano and transition counsel Raj Parikh should have pressed Braz for more information and interviewed Alvarez about the accusation. The transition team members also failed to clarify whether Brennan wanted an investigation by the team, which inhibited their probing. There is no evidence to contradict Murphy’s claim that he wasn’t told about Brennan’s allegation until October, after the Wall Street Journal reached out to his office for comment on an upcoming story, per the report. Hours after the report was released, Murphy issued a statement noting the “hard truths” highlighted by Verniero’s findings. “Knowing what I know now, I wish I was informed earlier by my team about Ms. Brennan’s allegations. As members of my staff have previously testified, they regret not telling me sooner as well,” Murphy said of his staffers keeping Brennan’s allegation secret for months. Beyond scrutinizing the actions of Murphy officials, the report also noted that the compressed time and minimal budgets of gubernatorial transitions mean that it can be harder to thoroughly vet job applicants. It suggested starting transitions earlier to allow for more time to review potential candidates for state employment. The report came hours after Murphy proposed changes to state rules dictating how officials handle complaints of sexual misconduct, including loosening the restrictions on Equal Employment Opportunity investigations.